Start with a sketch. 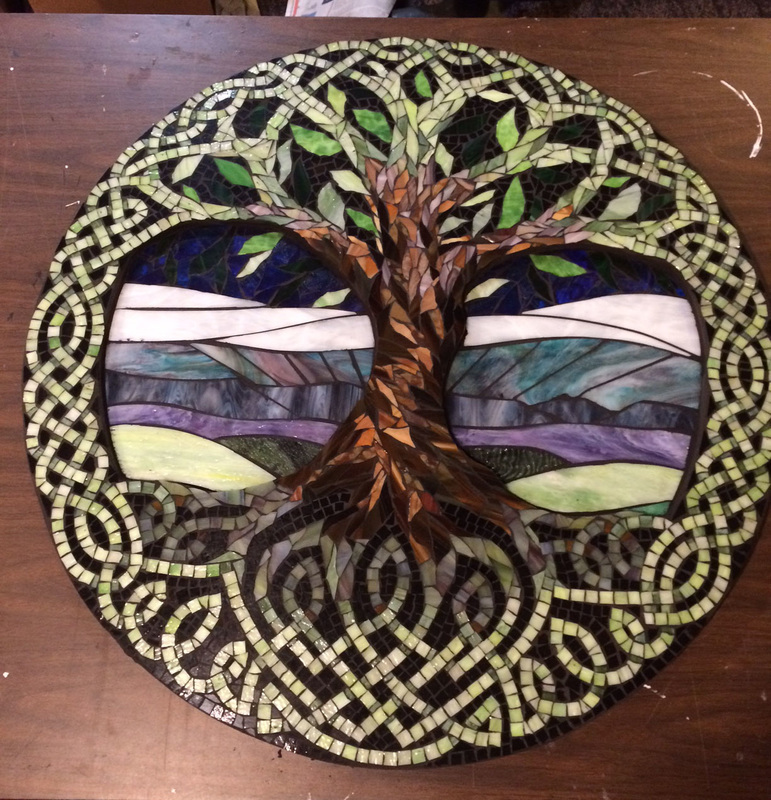 In this case, the client wanted a Celtic Tree of Life. I found numerous references online and developed one that we both agreed would work perfectly. Materials: Most of my work is done on 1/2" birch wood. It's sturdy but not too heavy. 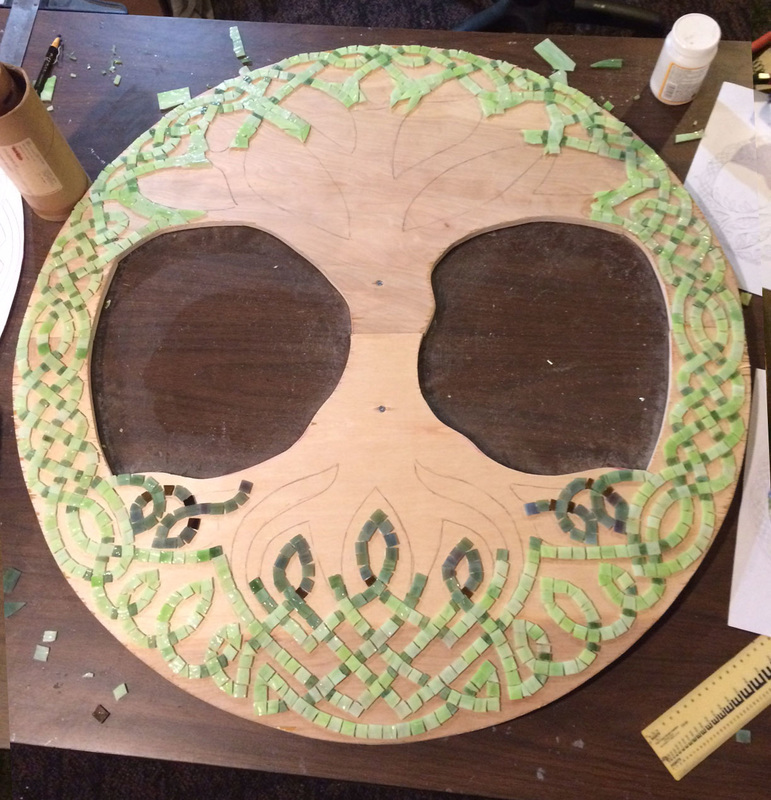 The center cutouts are backed in plexiglass so they can be backlit. 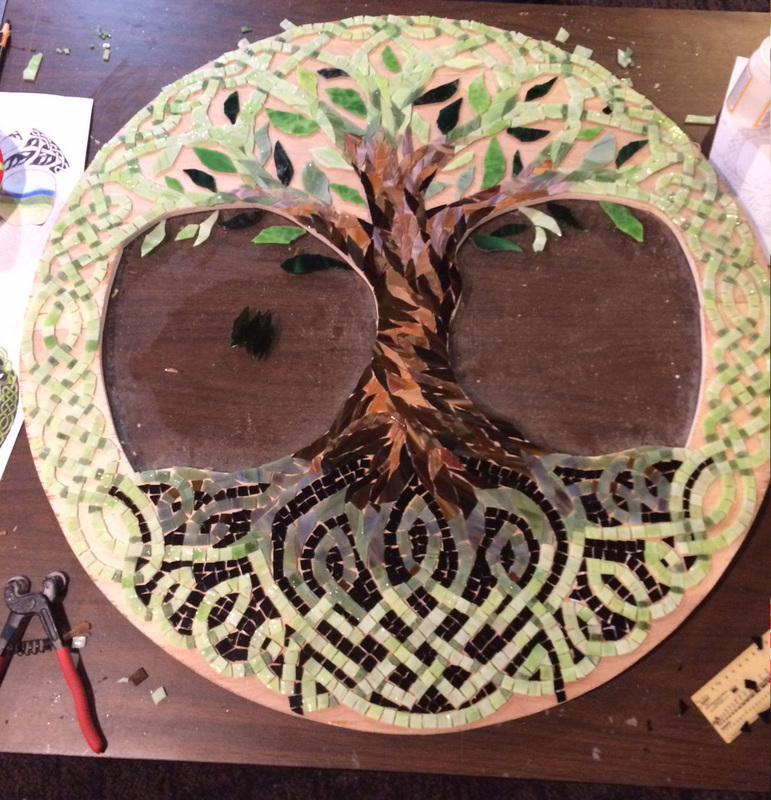 Transfer a copy of the line drawing onto the wood and start tiling with the foreground pieces. I Break down the design into elements. 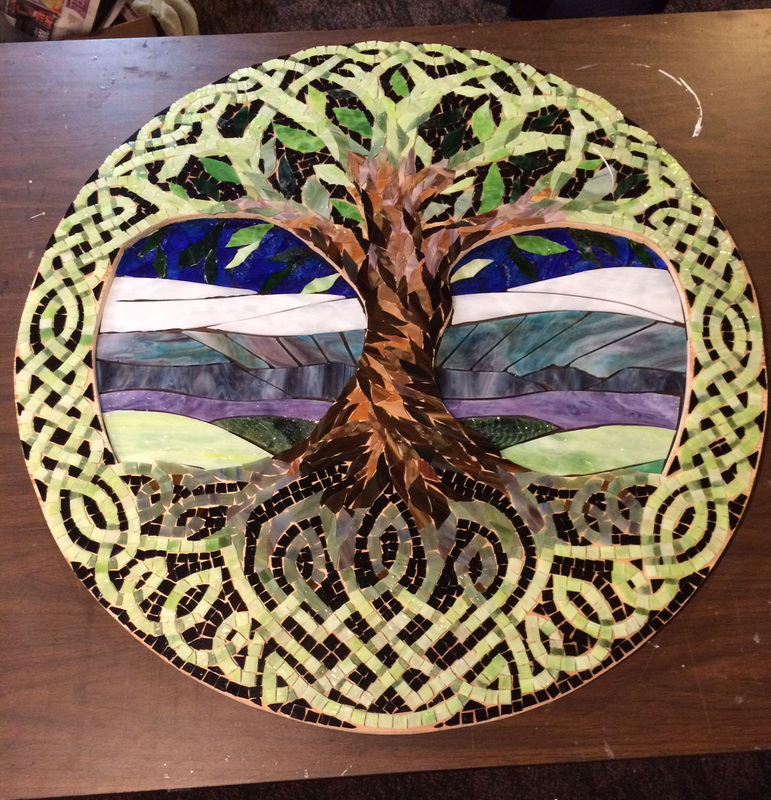 In this case, I started with the braid, moved to the tree roots and branches, and then faded into the trunk of the tree. 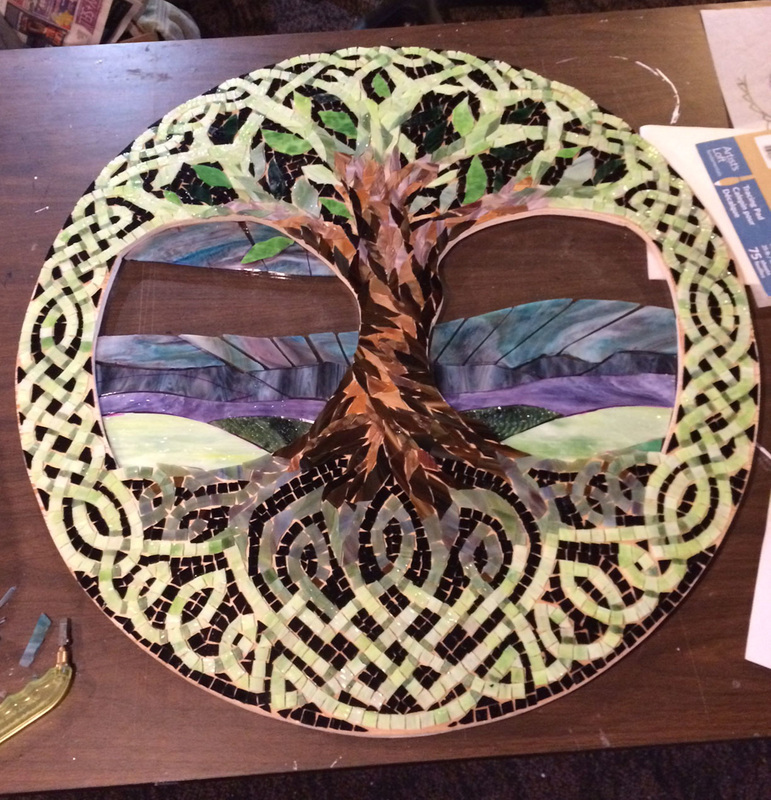 Once the foreground is done, including any focal pieces (like leaves, flowers, etc.) I fill in the background. This is the most time consuming of the steps since the tiny little areas require pieces being cut into specific shapes. 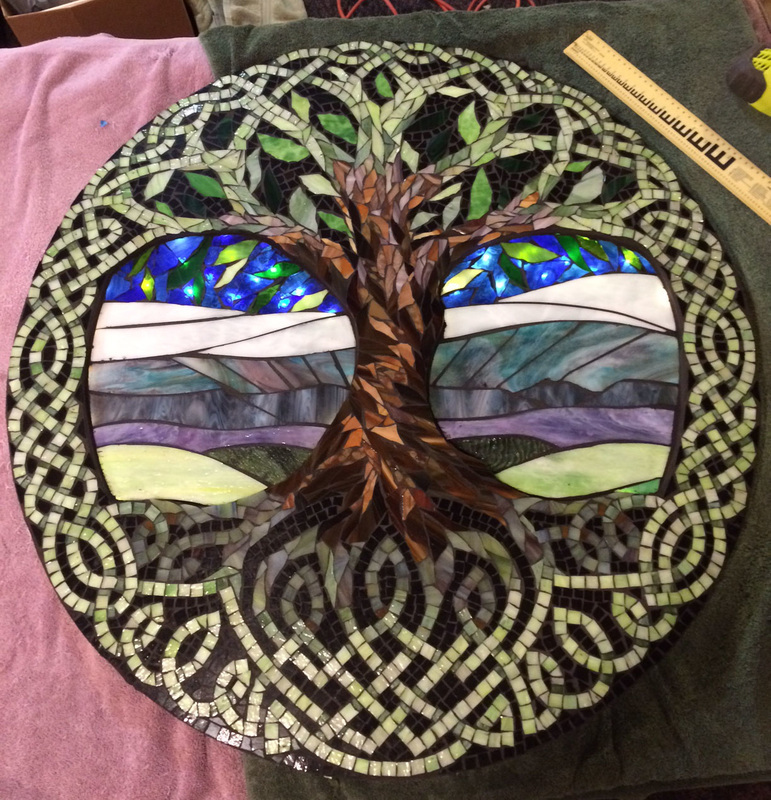 When the background is filled in I cut the larger pieces for the backlit areas, making sure to choose glass that is more transparent and will show the light. Grout. This is the messy part, but also the most exciting because grout is very forgiving. It hides the not-so-perfect parts and makes the colors pop. Finished product! I clean the excess grout and haze off the glass using distilled white vinegar. Once dry, I attached the battery operated LED lights to the back of the plexiglass to light up the sky area.